Recently, I have been working in earnest to put together company manuals, service agreements, company protocol, etc. 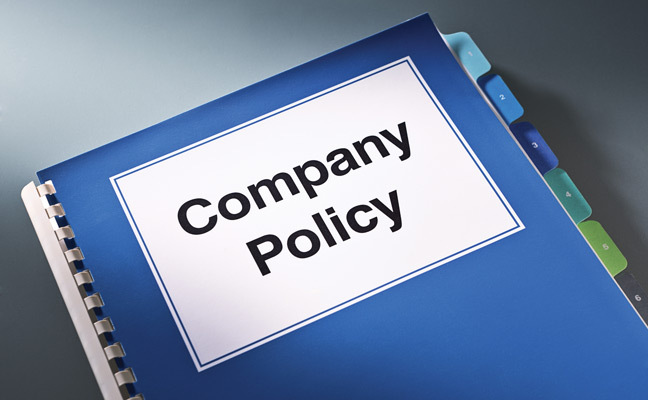 Several things prompted me to finally pull the trigger and put policies in place, including injuries, employees upset with their peers’ antics, and a limitless supply of client queries. When I started my company 12 years ago, there was no need for a company manual. It was just me killing bugs and cashing checks. Fast-forward to 2018: Schopen Pest Solutions has 18 full-time employees with 18 personalities, concerns, drama, etc. Now I have a human resources guy that I pay $1,000 per month to make sure that my employees don’t sue me or one another. I used to have some pretty simple rules with my first employees: Come to work, show up on time, see bug, kill bug. Now I have an employee manual that is bigger than War and Peace, and growing by the day. The most recent addition was protocol for cell phone usage. As many of you know from reading this column, I try to be very employee-friendly. I give my techs and office staff lots of perks and swag, including cell phones they can use for home or office. Unfortunately, some of my employees use their phones for practical jokes or frat-type hazing that would make presenters at the Rob Lowe Celebrity Roast blush. I had to add a page to the manual on how their cell phones should be used, and what is and isn’t appropriate. Some of my staff also were using their cellphones 24/7. We had to add another section to our employee handbook discussing data usage. I had one tech who used 30GB of data. At $15 per gigabyte, that comes out to $450. I could have bought him three months of cable and catered his sister’s wedding and it still would have been cheaper. Now, each employee has to sign a waiver stating that they either want to pay for unlimited data usage or pay for each gigabyte they use. About six years ago, I created my first official document. It was our rodent agreement, which we still use today. I was tired of little old ladies arguing with me about the price of their follow-up visits or whether their follow-up visits were included in the price (they were not). On the rodent agreement, which they have to sign before we will even begin working, it clearly states how we will do our job, what we will be using and how long it will take. It also lists the prices for the follow-up visits, and what the cost would be should they also like their home sprayed for general pest maintenance. We now have similar agreements in place for carpenter ants, wasps, bed bugs, cockroaches, etc. Speaking of adult day care, let’s revisit a Christmas party from two years ago. My company was finally big enough where we could have a fun night out at a restaurant with our employees. We invited spouses and had more than 20 people there. My awesome wife came up with games and entertainment for the night. After dinner, one of my techs thought it would be funny to hide another employee’s cell phone. This particular employee and his wife had been drinking, and they didn’t think it was funny. A few nasty words were exchanged and boom! Fun night was destroyed. Because of the drama at that Christmas shindig, we didn’t have a company party last year — although we did have a chili cook-off, which was a blast. As of press time, this year, we are going to try to have a bowling party for Halloween. Keep your fingers crossed; otherwise I might be adding a company policy on bowling.